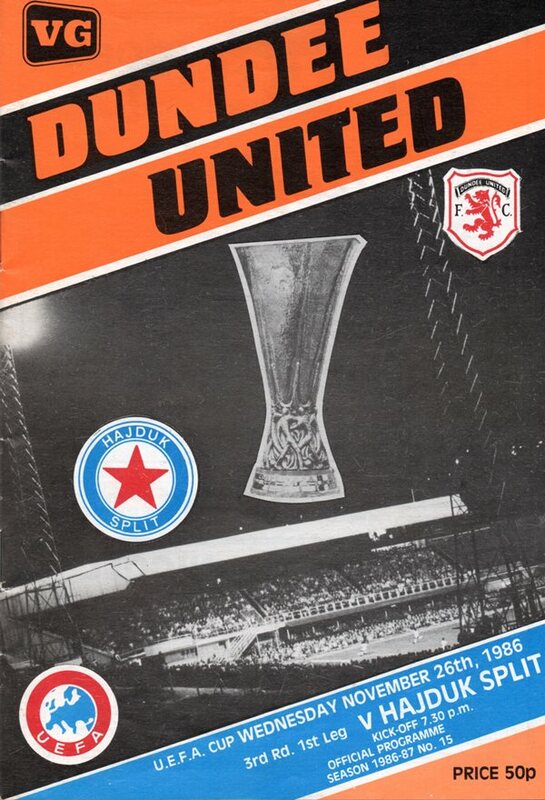 We established the minimum acceptable lead over Hajduk but this was for the most part, not one of our vintage European displays. 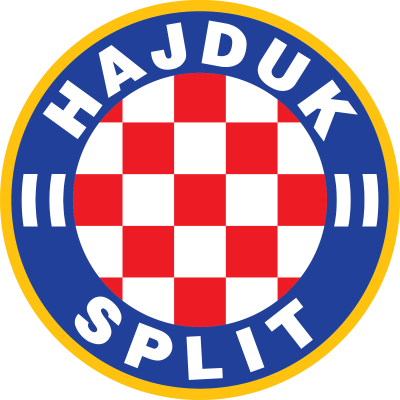 Hajduk, in fact, had their best spell of the game after going two behind. Although it was no coincidence that Eamonn Bannon had departed the scene before the Yugoslavians began to show any attacking prowess. The early threat on the Split goal came from free-kicks. Twice John Clark pierced the defensive wall only to see his shot saved by Pralija. Then Ian Redford bent a free kick around the wall but this too was well saved. The keeper, however, was responsible for us going ahead. He completely missed a cross from Paul Sturrock on the left and Jim McInally was left with the simple task of controlling the ball before stroking it into the empty net. Billy Thomson then made a fine stop from Devenc but the action swung to the other end with both Eamonn Bannon and Ian Redford having headers at goal before half-time. Only 90 seconds of the second half had gone when we went two up. Pralija touched over a powerful Ian Redford drive. From the corner, a Sturrock cross was missed by Billy McKiniay, but not John Clark, whose raging left foot volley from 18 yards entered the net in the postage stamp left hand side corner of the net. Hajduk then enjoyed their best spell and Bursac had a good header well saved by Billy Thomson. Gradually we re-asserted our impact on the game and Maurice Malpas was unlucky to see his close range effort deflected for a corner. John Clark then set up a chance for Paul Sturrock when his clearance found Luggy in the clear, but Pralija somehow managed to tip Paul's effort round the post. Our inability to capitalise on that two goal lead left us a lot to do in the return but we remained slight favourites in the eyes of both managers after the game.